The Chowan University Friends of Whitaker Library was formed to support the development and enrichment of Whitaker Library. Its primary function is to provide financial support to supplement existing and planned library programs. 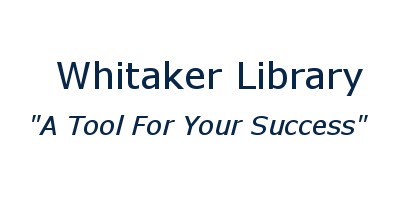 Membership in the Friends of Whitaker Library is open to all individuals, organizations, businesses and institutions who have made an annual contribution to Chowan University designated for the purposes of Whitaker Library. Note Whitaker Library in the "Gift Designation" field of the form.